Have you often wondered if there was any difference between hemp and marijuana? And how does medical marijuana fit into the picture? When you add hemp seeds to your smoothie or drink hemp seed milk, will that give you the some of the “high” that people get from smoking marijuana or eating a food with marijuana in it? And why do people eat hemp seeds anyway? Chances are, you’re not alone in asking these questions. Hemp and marijuana—what’s the difference? Okay, hemp and marijuana both come from the same species of plant—Cannabis sativa. However, they’re two different strains of that species. Alternet explains that hemp is a strain that’s bred for three different reasons, none of which have to do with getting “high.” It’s bred to produce fibers that are used to make clothing and rope, for use in ointments and topical oil applications, and for the nutritional value of its hemp seeds. In contrast, marijuana is typically bred for the intoxicating effect. Because they actually come from the very same plant, Livescience states that the scientifically distinguishing factors between the two strains of Cannabis are the levels of THC and CBD, chemical compounds known as cannabinoids. THC, or tetrahydrocannabinol is the chemical that’s responsible for Cannabis’s intoxicating effects. The more THC in the strain of Cannabis, the more the intoxicating effects you would experience should you ingest or smoke it. In comparison, Project CBD notes that CBD, or cannabidiol, actually counteracts the effect of THC. So it makes sense, marijuana has higher the levels of THC and the lower the levels of CBD, while hemp would be just the reverse. Medical marijuana, compared to recreational marijuana, is specifically used to treat a medical condition. Patients can administer it in any number of ways, according to UnitedPatientsGroup, including drinking it in a beverage, using it in a topical ointment, and taking it in sublingual sprays or via tinctures. Leaf Science notes that marijuana has historically been used to treat arthritis and for pain management. Many in today’s medical community recognize that it can be helpful for treating certain conditions—a WebMD/Medscape survey of 1500 doctors in 48 states found that two-thirds of those who responded support use of Cannabis as medicine. Project CBD goes on to explain that because CBD is non-psychoactive—in other words, it doesn’t make you high—it’s an attractive form of medical marijuana for people experiencing anxiety, inflammation, pain, and a whole host of other medical conditions. Many people do not enjoy the feeling of tiredness or the altered state of mind that high levels of THC can cause. Clinical studies and scientific research is currently being done to more definitively determine if indeed CBD can serve as an equally effective source of medical marijuana instead of the high-in-THC strains that have traditionally been used. Besides producing some of the strongest rope known to mankind, hemp has seeds, often called hemp hearts, that have become a darling of the health food world for their high nutritional content. 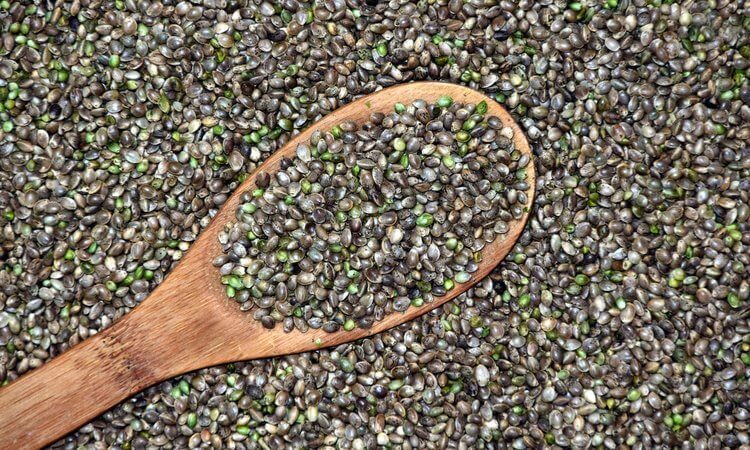 Healthy Eating SFGate reveals that a single tablespoon of shelled hemp seeds has just 40 calories, 5.3 grams of protein, and about 13 percent of your required daily amount of iron. Plus, it’s packed with essential omega fatty acids that can help reduce the discomfort and itchiness of skin conditions like atopic dermatitis. But do the hemp seeds, hemp seed milk, or hemp seed oil that you consume contain THC? The U.S. Anti-Doping Agency, that organization that tests athletes to ensure they’re not using performance-enhancing or other drugs, says that trace amounts may be detected in urine samples. WebMD assures you that they have no THC, but that may be slightly overconfident. The stem and seeds should have no THC, but that depends on if the THC was eliminated during production. By getting your hemp seeds from a reputable supplier, you should have no issues. Manitoba Harvest, for example, states that their hemp seeds have 0.001% THC and won’t cause a positive drug test result. At those levels, you should experience zero psychoactive effect. While using marijuana for recreational purposes has its supporters and detractors, one thing has become increasingly clear—the use of marijuana in the developing brain of a teenager or young adult can have long-lasting consequences. Science Daily cites research by the Center for BrainHealth that backs up this assertion, as do numerous other studies and sources. Hemp seeds on the other hand, you can serve to the whole family, teenagers included. There’s nothing but goodness in them. So here’s a recipe to get you started! Try making this Berry Hemp Heart Salad, and you’ll have prepared a treat that anyone can enjoy and feel all the better for having eaten it.